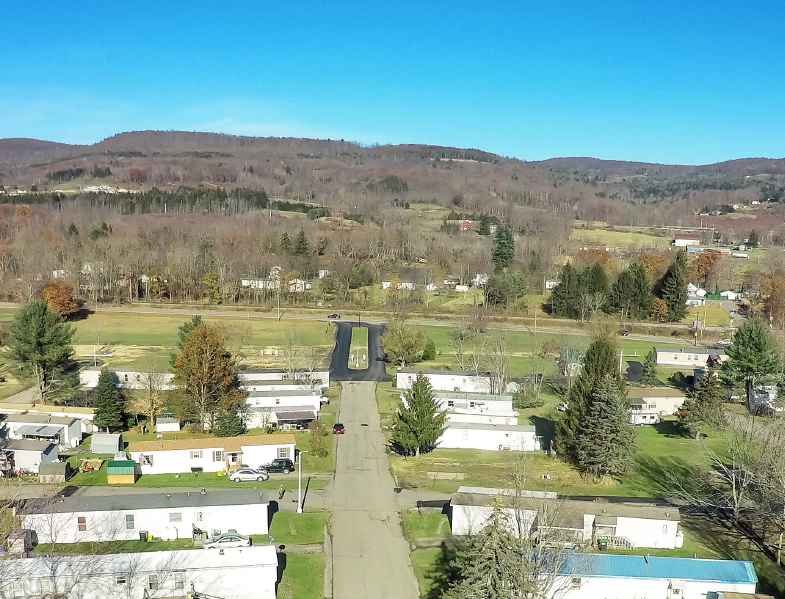 Conklin, NY — Teton Management Corp has added the 134-pad Fountain Bleau Court MHC located in Conklin, NY to its rapidly expanding portfolio of mobile home communities. 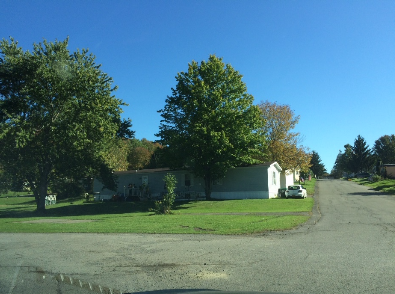 This community, located in Broome County, is an especially attractive investment due to its solid employment base in the area and proximity to SUNY entities and the Broome County Commerce Center. 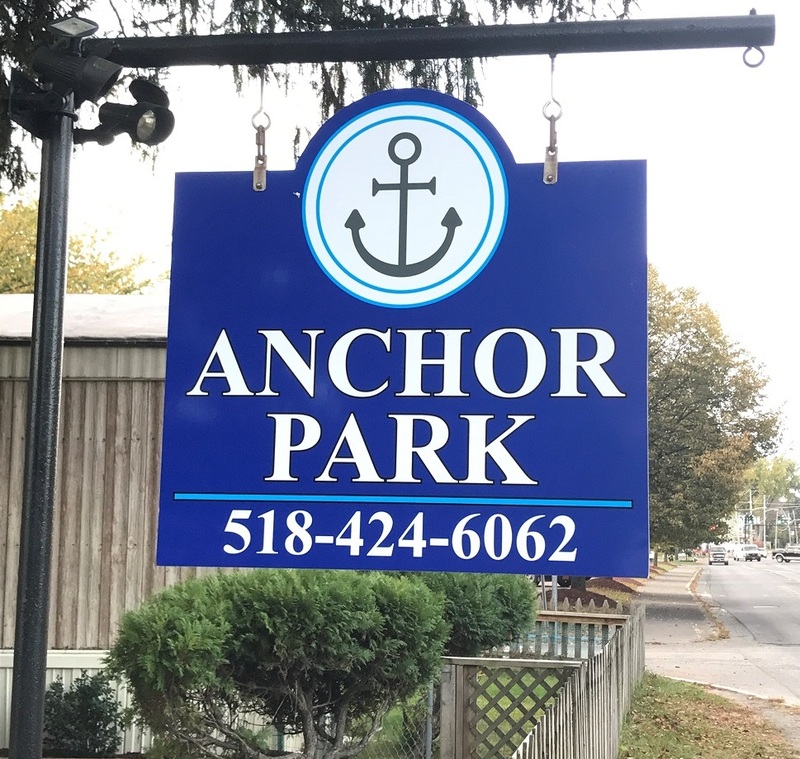 While Fountain Bleau Court MHC already has an appealing community layout, public water and new septic in place, Teton plans to immediately begin new landscaping, road repair, and installation of professional signage to improve the park’s overall esthetic. Fountain Bleau Court MHC Closing. 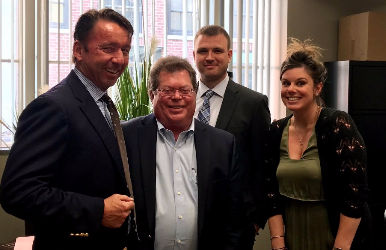 From left: George Whaling, Teton President/CEO; Charles Tallent, Esq, MacKenzie & Tallent Law Firm; Jim Fletcher, Teton Dir Of Finance; Michela A. Juras, NBT Bank.